The Social Media Specialist role is responsible for the ongoing management and growth of our client's Middle East social media presence in alignment with business strategies and direction. • Align to Country’s Web lead Generation and qualification targets. • Develops content across owned social channels. This could include blog posts, tweets, status updates, pins, photos and videos. • Creates, manages and grows business presence across social media channels, including, but not limited to blogs, Twitter, Facebook, Pinterest, LinkedIn, YouTube and Instagram. • Growth in social referral percentage inside Google Analytics. 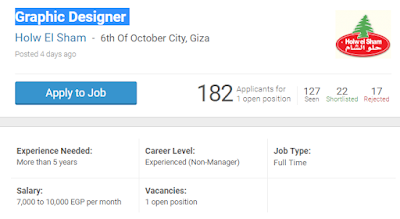 El Asreya for Real Estate Development is looking to hire a digital marketing manager. 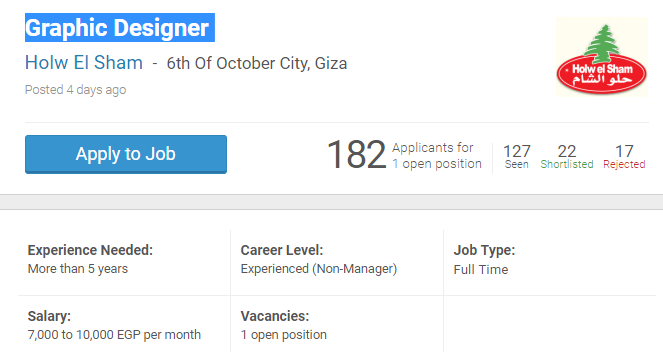 Salary range 8,000 to 12,000 EGP per month + Commission Every Quarter. -Responsible for developing marketing campaigns that promote the company and its services. 2-Create content for the website and social networking accounts such as Facebook, LinkedIn, Instagram. 3-Take actions to increase the effectiveness of social media campaigns. 6-Fix any errors or bugs in online content. 7-Edit and post videos, podcasts and audio content to online sites. 2-Experience executing successful social media campaigns. 4-Good knowledge of the various paid marketing channels and technologies, including paid search (Adwords), re-targeting, social network advertising (Facebook Ads). 5-Strong written and verbal communication skills English/Arabic .